The basic process is simple: sterilize milk by heating to a simmer, killing existing bacteria in the milk so that it will only be fermented by the starter bacteria culture we add when the milk has cooled. Then keep it warm for 24 hours as starter cultures multiply and consume the milk to produce SCD legal yogurt made at home. 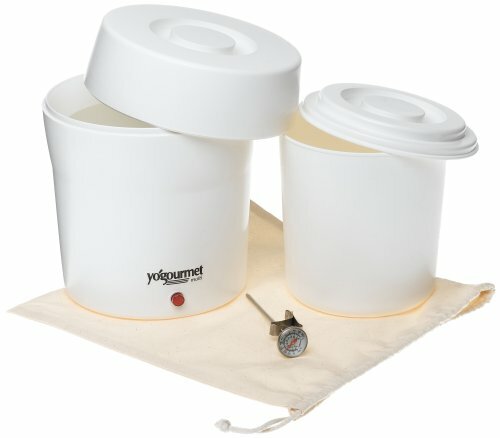 Make your own, homemade yogurt with this easy-to-use warming pot by Yogourmet. Why is SCD Yogurt Important? The SCD corrects the balance of bacteria types in the gut by starving them out. Introducing SCD yogurt aids this process as it repopulates the gut with beneficial bacteria. As yogurt cultures break down lactose we absorb the simpler carbohydrates instead of feeding them to the bad bacteria in our lower intestine. Why Not Just Buy Yogurt from the Store? Commercial yogurt nearly all contain sugars and additives which feed bad bacteria; avoid this processed stuff and make your own! 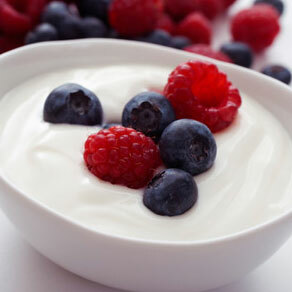 24-hour yogurt has a higher probiotic count than commercial yogurt because it’s fermented longer. Our yogurt has a concentration of 3 billion cfu/ml, about 50 times more than a pill capsule. Also, because the cultures produce lactic acid from milk, many lactose intolerant people tolerate this yogurt. Some folks find huge improvements right away while others can have problems at first. After the starter diet try yogurt very slowly, a teaspoon a day, gradually increasing and carefully watching how you feel afterwards. Also try goats milk and see if that works better for your stomach.